As 2012 comes to an end, I'm sure everyone is thinking about their favorite parts of 2012. The moments that we want to remember forever and of course what we want to forever forget. We start making goals for 2013. Well, I'm not ready yet! Of course I think about what I want 2013 to hold for me, but for right now, I just want to think about Champagne! I have always had a love for wine and champagne bottle design. There is an insane range on what is out there, from the graphic to the classic, the wine industry has it all. One of my career goals has always been to design a bottle, I'm young still, I will make it happen! 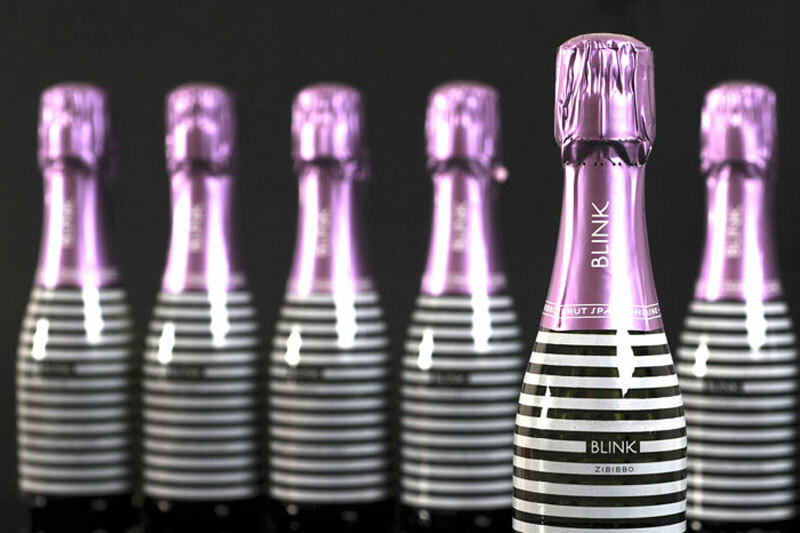 Over the years, The Dieline has posted incredibly beautiful champagne packaging. 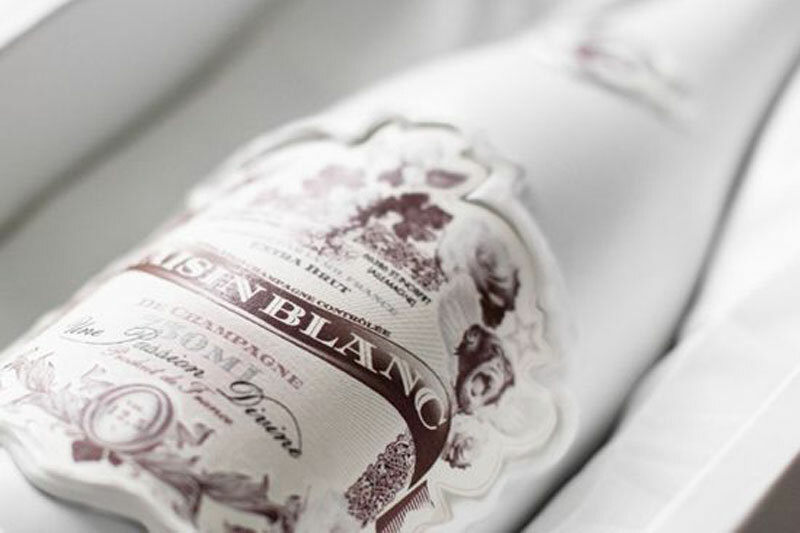 The above pictured bottle for Rasin Blanc was designed by Felix von der Weppen. The stunning white molded bottle features gorgeous hand draw elements and fonts that elevate the class level and reads CHAMPAGNE perfectly. We all know Moet Champagne, but have you ever seen this quirky packaging they did for the Rose "Message on a Bottle" gift set?! It includes a marker to personalized the gift for the lucky recipient. 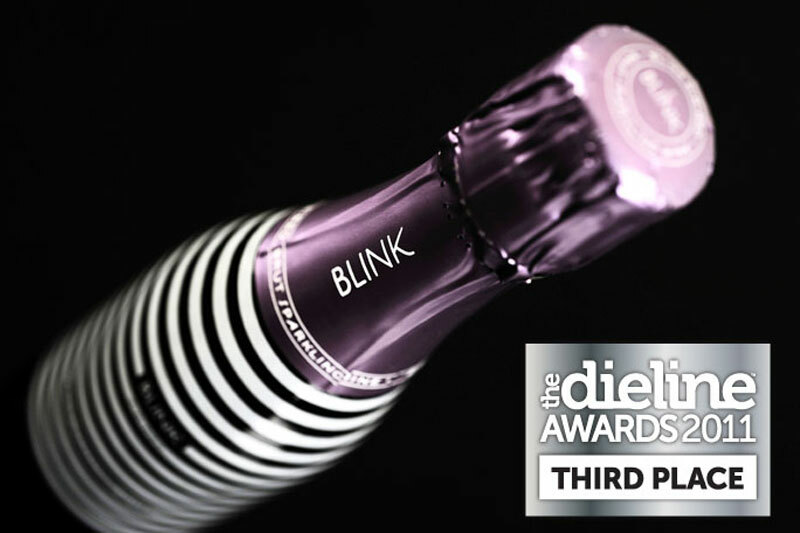 The 2011, The Dieline awarded 3rd place in The Dieline awards to Blink Champagne. The graphic stripes and color palette make this bottle stand out from the rest. The pattern identifies the bottle all itself, with the logo being practically non existant, tiny in the neck of the bottle. Gorgeous. I think if I ever saw this in a store, I would have to get it, but would never open it! Of all the bottles I've seen around the web, Ritzling takes the cake for me. Designed by Tardis, this low alcohol Riesling sold in small bottles has so many incredible elements on its packaging, it transports us into a magical place. "...magical images combine the spirit of Alice in Wonderland with a touch of the baroque and a hint of Monty Python. Enchanting and upbeat, the Ritzling packaging is a standout on the shelf." - Preach! Ok- The truth is, champagnes can get expensive, and who knows which to buy! I of course buy based on the label, but it doesn't always work out. Lucky for us, Food and Wine has put together a list of very reasonable sparkling wines for New Year's eve. Having company over?... How about some Champagne Cocktails that will impress any guest. Last, but not least, get crazy with it! Give some Champagne Chantilly Shooters a shot. Not only are they stunning, they would be pretty delish as well. She also has a Sparkling Champagne Cupcake recipe you can try! Happy New Year everyone! May your night be filled with happiness and laughter, and your new year filled with everything you can dream of. What are you doing to celebrate the start of 2013?